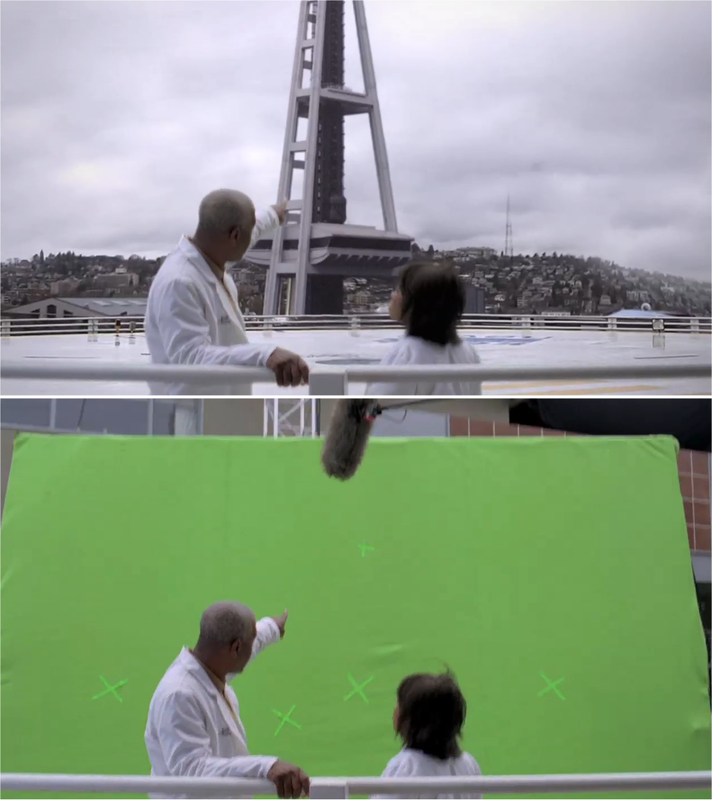 Most of these blue/greenscreen effects are imperceptible to the viewer: everyday shots like two characters walking down a city street, or a character talking on their cell phone in front of a city skyline. Most of these shots are from TV shows that aren’t associated with flashy effects, like medical shows, law-and-order procedurals, and family comedies. I was especially impressed by the clip from Ugly Betty starting at about 2:12; hardly anything in this scene was “real”. In this case, some matchmoving is probably involved, as opposed to the pan/tilt shots where one can get away with different views of a spherical panorama. Keep in mind that these effects need to be turned around by the VFX company in a week (or less), so there isn’t that much time to polish the tiniest details like wisps of hair. Post Magazine has a great article on the types of visual effects involved in last season’s new TV shows — not just bluescreens for background replacement but more advanced work like changing the season of a shot or adding CGI creatures.